Consider offering your talents, your creativity, and your skills to help push the boundaries of the computer graphics field. Volunteer for one of the ACM SIGGRAPH committees and share your expertise. 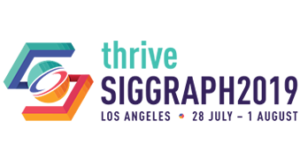 Whether you are interested in working with others in your geographic community or your area of expertise, ACM SIGGRAPH has a committee for you. When you complete the following application form and select Volunteer, your responses will be forwarded to the committee chairs for review. Students and conference volunteers please note: If you are interested in serving on a Conference Committee or the Student Volunteer program, please do not use this form. See the application form for Conference Committees or the SIGGRAPH Student Volunteers Call for Participation, available in mid-November. Web Team volunteers please note: If you are interested in volunteering to be a writer or content assistant for SIGGRAPH.org, please do not use this form. See the Web Team volunteer form. A copy of this application form will be emailed to the committee chairs, and you will be contacted with additional information. Thank you for your interest in volunteering for ACM SIGGRAPH.